Password: See top of page or usual practice password. IMPORTANT: The PLP app VERSION 1.2(found here) is required. The file is an attachment on the first message, download and install as it is. The string that is posted in chat when you join should read: "PLP:running version 1.2,3-50-3-True-1.3-0.9-3" - if it doesn't, then you will be excluded from the results. This will be the first of 3 rounds in the cup series, the others being Adelaide Clipsal 500 Circuit and Barbagallo Raceway. 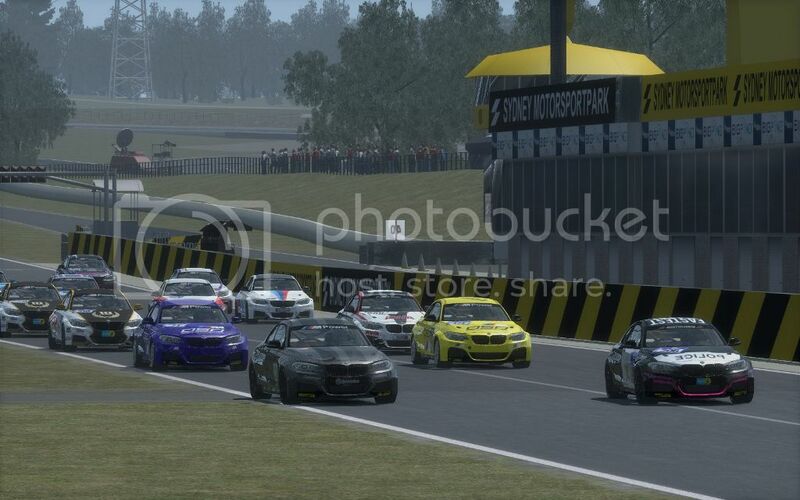 I assume it's the 'Gardner' track in the server choice and Eastern Creek in the game. I'll be in the 'Ravenwest' skin. I've started a thread with the skins HERE. I'll be in the Ring Attack #303, if I manage to make it (yes, my internet is still playing up). hope all that race will install at least the first batch of skins Tibs links too. I will be in the black version of the retro twin-pack car 345.
ps..have you advertised this new series over at the Kunos site? if not, blinking do so ! If someone produces a single skin pack I'll install that but I haven't the time or patience to install a dozen packs on the off chance someone might use one of the skins. It took me 5 minutes max to download and install them, but I get your point. I'll see about making one tonight. Just want to say a HUGE thanks to everyone who donated and helped us meet our quarterly cost's. I've changed some stuff over with my internet connection so it might be working now - fingers crossed! Is anyone going to be online tonight for a test run? Obviously the official server will be down, but iirc Jester's one will still be running? Same time as the usual qually start or so? I wasn't running after seeing the official one up, but just started it up again. Might be going online, not sure yet. Nice combo and I hope to join. My pc doesn't like this heat we're having and regularly suffers black screens so I might not make it. Server is set wrong. It's full with cars, so can't book a spot.